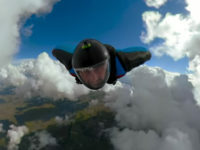 Wingsuiters dive into an epic cloud cave on their jump with Skydive Ramblers in Toogoolawah, Australia. “Air” is a story centered around BASE jumper and extreme athlete JeanJacques Wallis, who is attempting to be the first person to fly from various summits of uncharted peaks in Northern Mozambique and Malawi. 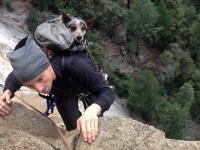 The Killing Season: Why Are So Many BASE Jumpers Dying? A wingsuit BASE jumper just live-streamed his own death—marking the latest fatality in the sport’s deadliest year. We explore why flyers at all levels are dying in this extreme activity. 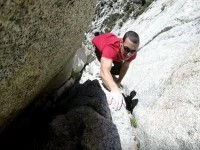 Jeb Corliss, suffered a life threatening crash while proximity flying during a routine BASE jump on Table Mountain. This is the story of his long road to recovery. BASE Survival Talk with Chris “Douggs” McDougall, there is a whole lot of life skills discussed in this talk, very worth while watching. 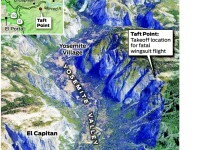 Ghostriders in the Sky – My dream of flying in the Sierra Nevada Mountains has been realized. Here are some of the highlights of a summer-time searching for answers. 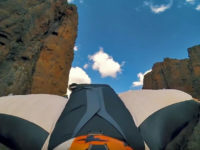 Wingsuit flight in the Drakensberg, South Africa. Hunt had clipped the right side of the ridge as he entered the notch. Potter immediately cut left, he somehow lost altitude and hit the lower end on the left side of the notch.